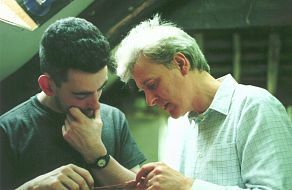 Phil Messer is a former student of Norman Reed (see below) and worked closely with him from 1989. By the age of fifteen Phil had made his first guitar - an electric - with basic tools in the garage at home. He went on to build his own amplifier a year later before enrolling at university to study electronics (experiences which later led to him designing pre-amp products custom made in the workshop). 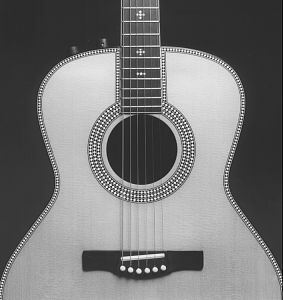 The appeal of hand tools and the tactile nature of wood, however, was impossible to resist and in 1988 he decided guitar making was for him and enrolled on a course with Norman Reed at the school. The following year Phil was back in Totnes, this time to manage Norman Reed Guitars, a guitar workshop and retail shop that ran in the same building as the School. There he undertook the constant supply of a wide variety of repairs, restorations and commissions. His particular enthusiasm for flamenco guitars led to him specializing in french-polishing, his favoured finish. The valuable addition he made to the tuition - and the enjoyment he got from working with the students - culminated in his becoming a full-time tutor at the school in 2001. Two years later he took over the full-time running of the course. Phil still undertakes commissions and occasional repair work alongside the teaching, sharing his approach with the students. 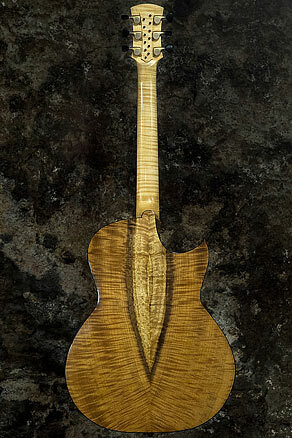 He continues to experiment with new designs too, including more recently a guitar with 12 sympathetic strings inspired by the 17th century viola d'amore. The students' progress, however, remains his priority. 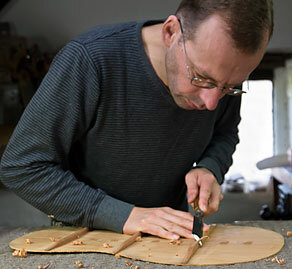 Norman Reed is the founder of the Totnes School of Guitarmaking. He started instrument making in 1971. First known for his lutes and baroque instruments, he later became established as a maker of fine steel-string guitars. 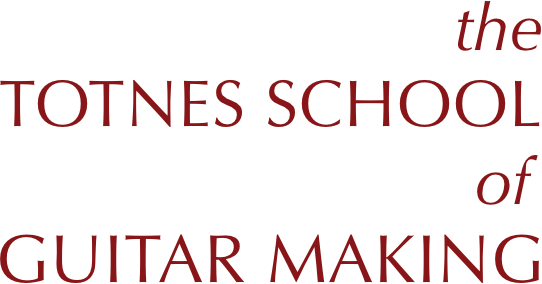 His workshop grew and diversified, providing in addition the whole range of modern guitars, from classical and flamenco through to electric guitars and basses. Commissioned work came from people attracted to the Totnes area by the presence of a nearby music college at Dartington and a flourishing folk / world music scene in the locality. A great variety of instruments needing repair, extensive restoration, or copying, began arriving at his workshop, all of them related to the guitar, though very different from each other - for example indian sitars, russian balalaika and south american chuarango, or mandolin, mandola, cittern and bouzouki. The experience he gained in working on these laid the remaining corner-stone for the unique course he founded in 1985. Students can build a steel string, a classical, an electric, or almost any related instrument, according to their interest. Norman passed on the full-time teaching to long-time colleague Phil Messer in 2001, and continued to take an active interest in the students' progress until he died in 2008.